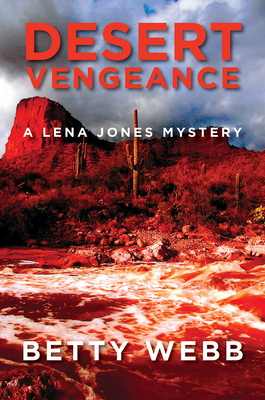 When the man who raped Scottsdale PI Lena Jones when she was a nine-year-old foster child is released from prison, Lena is waiting for him in the parking lot - with a big knife. "Papa" Brian Wycoff survives their meeting, but the next day, his wife, who knew about his crimes but did nothing to stop him - in fact enabled him - is found dead in their Apache Junction home, shot through both eyes. Terrified he will be next, Wycoff, violating his parole, flees north to the small town of Black Canyon City, taking shelter in an RV on his brother-in-law's small ranch. A couple of days later, he is found tortured to death, eight horizontal marks burned into his flesh. One for each of his victims?